The Contractor Select LED Troffer from Lithonia Lighting provides a digital platform to deliver general ambient lighting in applications such as schools, offices and hospitals. Long-life LEDs, coupled with energy efficient drivers, provide extended service life. Low maintenance and easy to install, this troffer works well in applications where LED is desired and budget-consciousness is needed. The 4 ft. long LED Troffer from Lithonia Lighting delivers general ambient lighting in applications such as schools, offices and hospitals. Long-life LEDs, coupled with energy efficient drivers, provide extended service life. Low maintenance and easy to install, this troffer works well in applications where LED is desired and budget-consciousness is needed. 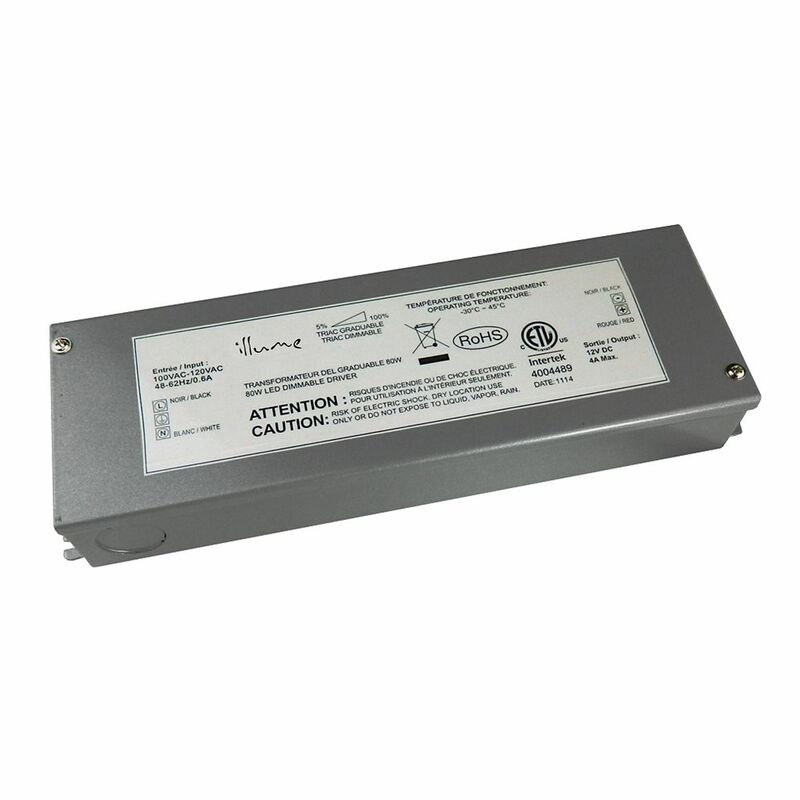 48W 12V DC Dimmable LED hardwire driver Dimming is made easy with our LED Dimmable Driver series. These products will allow you to find just the right amount of light based on the time of day your lighting fixtures are being used. 48W 12V DC Dimmable LED hardwire driver is rated 5.0 out of 5 by 2. Rated 5 out of 5 by Bill2017 from Solid unit Currently this driver is running a full 48W of LED bulbs for under cabinet lighting perfectly for 24 hours a day and 7 days a week. No problems at all. The installation was quick and easy. Although a little expensive at first, I now find it worth the price because I was able to remove all the extra power cables. Can this be used within a wall cavity (behind the drywall), or does it have to remain accessible? Thank you for choosing illume&reg; We strongly recommend that the hardwire driver remain accessible.